In June, the Lotto Block of the Month is a traditional Stamp Basket, made in not-so-traditional combination of black & white with bold & bright with three options for making the handle. 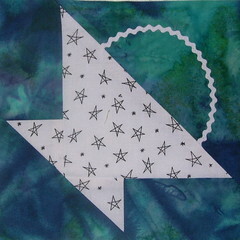 The inspiration for this combination came, in part, from the fabulous quilts of Linda Kuhlman. 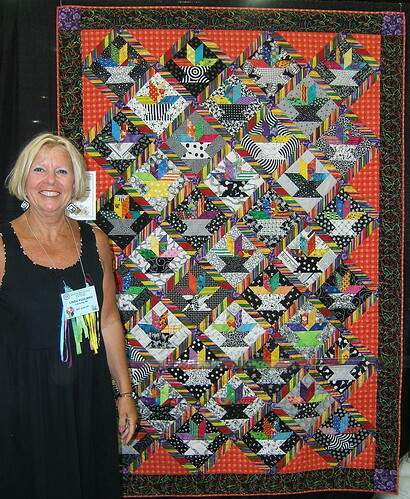 Here’s Linda, with one of her basket quilts at NQA in Columbus last summer. 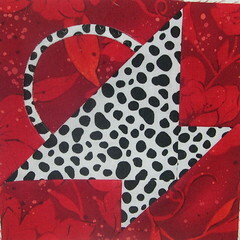 Linda is a very talented, prolific quilter who literally lives a stone’s throw from me. 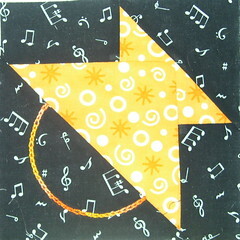 You can see more of her quilts (and garden, kids and grands) on her blog, Quilts and Kids. 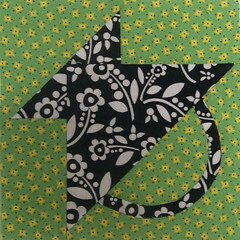 She just made the cutest little house quilt for Kate’s Another Little Quilt Swap. 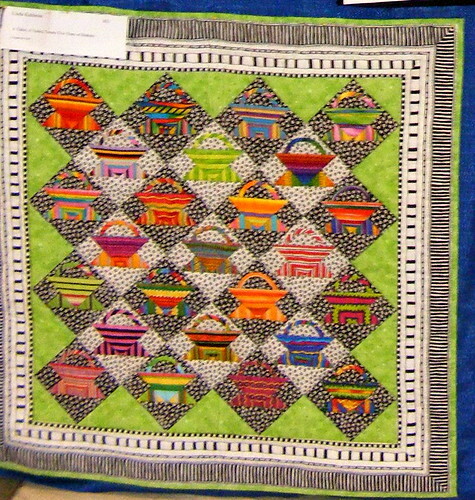 Here’s another of Linda’s basket quilts–this one hand-pieced, made for a guild challenge to celebrate their 25th anniversary. The June block lotto discussion on the forum begins here. You may make up to 8 blocks to enter in the block lotto. Share a photo of your block(s) by attaching it to a forum message, posting it on a blog or photo site and linking to it from a forum message or post a message on the forum letting me know that you are sending it to me via email so I can share it with everyone. Send me your name and mailing address via email (if I don’t already have it from a precious month). I need your email address so that I can send you the sneek peek (if your blocks are made at least one week before the end of the month). I need your name and address so that if you win the drawing, I can let everyone know where to send your blocks. A couple of the sneek peekers have already made their basket blocks and entered in the lotto already. You can see them here: June Photos. Last month we had another great month of 200-plus blocks and multiple winners. Already this year, we have made more than 1000 lotto blocks. It’s AMAZING. I know with the arrival of summer, we tend to spend less time sewing . . . but maybe these little baskets will be appealing enough to entice a few of us to play.